Crayonista is a typeface created by David Kerkhoff and published by Hanoded. 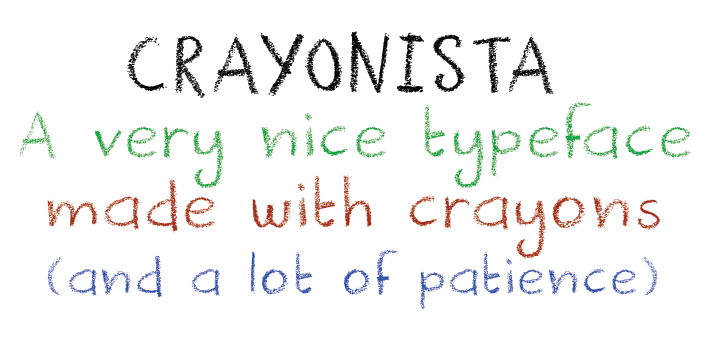 If you are looking for a long time a typeface made entirely with crayons, well you have found! Buy it now! A font description published on Tuesday, November 13th, 2012 in Fonts, Hanoded by Alexandra that has 7,531 views.